A new book on the importance of being sceptical about received wisdom and simplistic spindoctoring mysteriously leaves out one area of life where scepticism is thoroughly frowned on today: climate change. When Karl Marx was asked by his daughter to fill in a ‘confession’, a light-hearted Victorian questionnaire, he declared that his favourite motto – usually attributed to Rene Descartes – was De omnibus dubitandum. Or, to put it another way, ‘question everything’. These are wise words. Any serious inquiry into the truth should start with this pithy formulation of scepticism in mind. 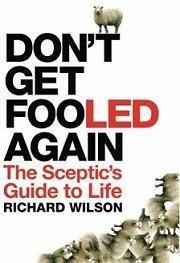 So when Richard Wilson’s book Don’t Get Fooled Again: The Sceptic’s Guide to Life arrived in the spiked office a few months back, I was looking forward to an illuminating exploration of the role of scepticism today. Yet while there are some sensible restatements of the basic principles that should steer readers through the modern world, Wilson’s guide seems a little trite. It’s the kind of book that might be an entertaining read for a student heading off to university rather than a sage treatment of an important idea. Judging from the book itself and Wilson’s writings elsewhere, it seems he is unwilling to follow through on the logic of his pro-sceptical approach when it comes to the central issues of our day. Don’t Get Fooled Again begins with a health warning: people are inclined by nature to a little self-delusion. The average person, Wilson advises, tends to believe that they are above average. Only depressives, it seems, have a realistic assessment of their own worth. This is harmless enough, he argues, as optimistic and self-confident people tend to do better in life. However, this propensity to believe what is convenient is positively dangerous when it comes to wider social issues. From public-relations spin to psuedoscience, Wilson relates numerous instances in which our capacity to swallow a lie has had negative, even deadly consequences. We need to keep our wits about us. He also notes that the mainstream media is a flawed resource in a number of ways, from the way stories are selected as newsworthy to the way PR companies and other interest groups manipulate what is presented. Wilson praises the internet as a means by which we can find the primary sources of information for ourselves and question what is being presented to us as the truth. ‘Just as you shouldn’t believe everything you read in the papers’, he writes, ‘neither should you assume, a priori, that everything that isn’t in the papers isn’t true’. His first major example is the work of giant public relations agency, Hill & Knowlton (H&K). The firm has been involved in a number of controversial examples of spin. In October 1990, as Wilson reminds us, a 15-year-old Kuwaiti girl, ‘Nurse Nayirah’, claimed that Iraqi soldiers had stolen incubators from a hospital in Kuwait City, leaving the children that were in them to die. The claim was that more than 300 children had perished as a result. In fact, ‘Nurse Nayirah’ was the daughter of the Kuwaiti ambassador to the US who had been coached to tell this tale by staff at H&K. If that lie led to the first war against Iraq, Wilson argues that H&K’s past crimes were even worse, leading to the deaths of millions of people. In the 1950s, the agency was hired by tobacco manufacturers to deal with the threat from the emerging medical evidence linking smoking with lung cancer. H&K’s response was obfuscation: try to convince the public that the link was unproven and that there was genuine controversy, when the link was, in fact, well established. To this end, the firm promoted Clarence Cook Little, an American geneticist, as a leading expert on cigarettes and ill-health when he was nothing of the kind, while creating a Tobacco Industry Research Committee (TIRC) to create the impression that the industry was actively investigating the link. In truth, the TIRC was little more than a PR operation. By 1964, a US government report had confirmed the link but, according to Wilson, H&K’s strategy was so successful that cigarette sales continued to rise before peaking a decade later. As it happens, Wilson overstates H&K’s success in this matter. As figures from the American Cancer Society note, smoking rates in the USA, UK and Japan were falling before 1964 and have carried on falling ever since (1). Not only that, but the exposure of the tobacco industry’s attempts to downplay the dangers of cigarettes now mean that nothing that any tobacco company ever says is believed, leaving the industry completely unable to make any meaningful intervention on the debate on passive smoking, for example, and tainting anyone who has ever had anything to do with ‘Big Tobacco’. That sounds more like an object lesson in how not to conduct a PR campaign. Wilson goes on to discuss a variety of other ways in which a failure to examine the evidence and thus fall victim to wishful thinking and ‘groupthink’ has led to disaster. One such example is the pseudoscience of Trofim Lysenko, the ‘barefoot scientist’ whose ideologically agreeable ideas about agriculture and rejection of Mendelian genetics helped place him at the forefront of Soviet science for decades, while leading to crop failures and malnutrition. Wilson puts much of the blame for the mass starvation of the Great Leap Forward in China from 1958 to 1961 – which claimed 30million lives – on the barmy ideas promoted by Lysenko and adopted by Mao. Again, Wilson almost certainly overstates his case. While Soviet ideas certainly inspired the Chinese regime, the obsession with collectivisation and meeting pointless, centrally decreed targets had more of an impact than the losses incurred due to Lysenko’s dubious methods. Another tragedy was the rise of AIDS denialism in the 1980s and 1990s. The widely accepted theory that AIDS is caused by a virus, HIV, was rejected both by some researchers – most notably by a high-profile American virologist, Peter Duesberg – and by AIDS activists who were mistrustful of the medical establishment. Retroviral therapies, such as AZT, were regarded as poisons and some even suggested that it was these drugs, not HIV, that were responsible for disease. Sadly, the leading activist proponents of this view died one by one, refusing the treatment that could have saved their lives. The influence of this denialism was particularly strong in South Africa, a country greatly afflicted by the spread of AIDS. Around the turn of the century, the then-president Thabo Mbeki and his ANC government did everything in their power to delay the widespread use of retrovirals, leading to many unnecessary deaths. The lesson is that once an irrational idea gets a grip in the corridors of power, the consequences can be devastating. On the other hand, the South African government were not alone in promoting irrational ideas. The British government was happy to use AIDS to try to promote a conservative sexual morality in a politically correct guise, providing a template for health-based scaremongering that continues to this day. While thousands of people in quite specific groups were dying of a new and terrible illness that demanded an all-out research effort to resolve, millions of pounds were being wasted on pointless scare campaigns aimed at everyone. Surely a true sceptic would interrogate these mainstream ideas to reveal the agendas of those promoting them? In his final chapter, Wilson sums up the main elements of his sceptical outlook. Fundamentalism – the assertion of the ‘absolute literal truth of a particular set of beliefs’ – and relativism – the belief that any view can be true – are, in Wilson’s view, very similar and both are to be avoided since they immunise believers to logic and truth. Wilson also warns against conspiracy theories, pseudo-scholarship (a bogus agenda dressed up as a serious assessment of current knowledge), and pseudo-news (fraud or spin presented as truth). He also returns to his earlier concerns about wishful thinking and warns against the way debates can be conducted by ‘over-idealising’ the outlook of one’s own side while ‘demonising perceived enemies’, with the upshot being the ‘moral exclusion’ of one side and ‘groupthink’, where ‘doubters and dissenters are stereotyped as weak, disloyal or ill-intentioned’. This is all sound advice. Yet what is most surprising, given that Wilson’s book is a discussion of scepticism, is that he avoids the one area in which sceptics are most prominent today: climate change. There are plenty of high-profile advocates for action around manmade greenhouse gas (GHG) emissions who exhibit all the dubious behaviour that Wilson rightly criticises elsewhere. Yet Wilson is silent on the matter. There is little dissent on the idea that the world has got warmer in the past 100 years or so. Nor is there any serious dissent that carbon dioxide is a greenhouse gas which will tend to make the world warmer as levels of it increase in the atmosphere. And there’s certainly no doubt that human beings have caused the release of greenhouse gases into the atmosphere from industry, transport and agriculture. If economic development continues in its current manner then, all other things being equal, we would expect the Earth’s temperature to rise. Just how much warmer the world is likely to get is still unknown. What we have is a range of best guesses made on the basis of an incomplete temperature record, computer models that still have some way to go in accurately representing our climate, and genuine and important uncertainties in the basic physics of climate change. So while a warming world is our best available working assumption, how much the world’s temperature may change in the future is still a legitimate subject of scientific inquiry. Quite aside from the complexities of atmospheric physics, there are wider questions to be answered about the consequences of such warming and what the best policy response would be. Yet the public discussion of climate change often obliterates such subtleties. The science of global warming is not presented as a series of provisional conclusions that must be revised as new evidence arises – which would be a properly sceptical approach following the argument in Don’t Get Fooled Again – but as ‘The Science’, a catechism of received truths that brooks no opposition. Frequently, a moral and political argument about the evils of humanity and industrial society is represented as a set of incontrovertible scientific facts. Those who seek to question any aspect of this catechism are treated in precisely the terms Wilson warns against. James Hansen, the NASA scientist who has been closely identified with promoting the need for action on climate change, suggested to a US congressional committee in June 2008 that the leaders of the oil and coal industries would be ‘guilty of crimes against humanity and nature’ if they don’t change their ways. In An Inconvenient Truth, Al Gore derided those who don’t agree with him by questioning their rationality, stating that those who believe that the Moon landings were faked or who think the Earth is flat should ‘get together with the global warming deniers on a Saturday night and party’. Indeed, the very use of the term ‘denier’ to describe a critic of climate change science or policy has very conscious and pointed parallels with Holocaust denial. Even scientists who firmly argue that the mainstream scientific position is correct, but who have been concerned about some of the alarmist statements made in science’s name, have been criticised as weak, disloyal or ill-intentioned. Wilson has nothing to say in his book on these things. Yet on his website, he specifically criticises spiked for taking the kind of sceptical approach to the politics of environmentalism that he encourages people to adopt in relation to various other issues (2). Wilson engages in the kind of smearing rhetoric he criticises in other situations, making the defamatory and utterly false suggestion that spiked could only say such ‘pro-corporate’ things because it is paid to do so. He only tolerates a certain kind of scepticism, it seems, the kind that doesn’t question any of the apparently inconvertible truths held by him and other eco-enlightened individuals. Sadly, Wilson’s own definition of cynics – those who ‘assume the worst of people and things’ – seems all too apt a description of his own outlook. (1) The American Cancer Society’s Tobacco Atlas suggests that adult male smoking rates in the USA fell from 51 per cent in 1960 to 44 per cent in 1970 and 38 per cent in 1979, with similar falls in the UK and Japan. These declines are also mirrored for female smokers. H&K clearly weren’t that successful. Hot on the heels of its anguished denunciation of the international indictment of Sudanese President Omar Bashir over war crimes and crimes against humanity in Darfur, the African Union has further cemented its global credibility by appointing ex-South African President Thabo Mbeki to look into the charges. Mbeki is certainly an interesting choice for a mission whose ostensible aim is to establish the truth about a life-or-death humanitarian issue. As President of South Africa, Mbeki famously bought into the claims of internet conspiracy theorists who say that HIV does not cause AIDS, and that the illness is actually caused by the medications used to treat the disease. A Harvard study recently concluded that the Mbeki government’s steadfast refusal to make AIDS medicines available to those with HIV may have led to over 330,000 preventable deaths. To add further gravitas, Mbeki will be assisted, according to Voice of America (who give a slightly different account of the purpose of the mission), by the former President of Burundi, Major General Pierre Buyoya. Buyoya is widely suspected of orchestrating the 1993 assassination of the man who had defeated him at the ballot box earlier that year, the country’s first democratically-elected Hutu President, Melchior Ndadaye. The killing triggered a brutal, decade-long ethnic war in which more than 300,000 people, mostly civilians, are believed to have died. For most of this period, Buyoya was in charge, having seized the Presidency in a coup in 1996. During Buyoya’s reign, forces under his command carried out a series of brutal massacres against the Hutu civilian population – but as the International Criminal Court can only investigate crimes committed after 2003 – the year Buyoya’s rule ended, it’s unlikely that he will face justice any time soon. A long promised UN-aided “special court” for Burundi has yet to materialise. At denialism blog we have identified five routine tactics that should set your pseudo-science alarm bells ringing. Spotting them doesn’t guarantee an argument is incorrect – you can argue for true things badly – but when these are the arguments you hear, be on your guard. 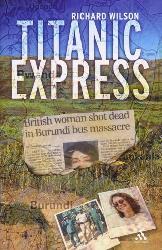 • First is the assertion of a conspiracy to suppress the truth. This conspiracy invariably fails to address or explain the data or observation but only generates more unexplained questions. But let us think about such conspiracies for a moment. Do they stand up to even a cursory evaluation? Is it really possible to make thousands of scientists, from over 100 countries, and every national academy of every country toe the same line, falsify data, and suppress this alleged dissent? I certainly didn’t get the memo. At the heart of all denialism are these absurd conspiracy theories that require a superhuman level of control of individuals that simply defies reality. • The second tactic is selectivity, or cherry-picking the data. Creationists classically would quote scientists out of context to suggest they disagreed with evolution. Global warming denialists similarly engage in this tactic, harping on about long discredited theories and the medieval warming period ad nauseum. But these instances are too numerous and tedious to go into in depth. • Instead, let’s talk about the third tactic, the use of fake experts, where both creationists and global warming denialists truly shine. Creationists have their Dissent from Darwin list of questionable provenance. Similarly, global warming denialist extraordinaire has his list of climate scientists who disagree with global warming. But don’t look too close! Lots of his big names are the same hacks who used to deny that cigarettes cause cancer for the tobacco companies, others are scientists who are wrongly included because they said something that was quoted out of context, others simply have no credibility as experts on climate like TV weathermen. But the desire of denialists to gain legitimacy by the numbers of scientists (or whoever they can find with letters after their name) used remains despite their contempt for the science they disagree with. • The fourth tactic – moving goalposts or impossible expectations – is the tendency to refuse to accept when denialists’ challenges to the science have been addressed. Instead, they just come up with new challenges for you to prove before they say they’ll believe the theory. Worse, they just repeat their challenges over and over again ad nauseum. This may be their most frustrating tactic because every time you think you’ve satisfied a challenge, they just invent a new one. The joke in evolutionary biology is that every time you find a transitional fossil all you do is create two new gaps on the fossil record, one on either side of the discovery. Similarly with global warming denialism, there is no end to the challenges that denialists claim they need to have satisfied before they’ll come on board. It’s important to recognise that you shouldn’t play their game. They’ll never be satisfied because they simply don’t want to believe the science – for ideological reasons. In the US, global warming denialism usually stems from free-market fundamentalism that is terrified of regulation and any suggestion there should be control of business. • Finally, the fifth tactic is the catch-all of logical fallacies. You know you’ve heard them. Al Gore is fat! His house uses lots of energy! Evolutionary biologists are mean! God of the gaps, reasoning by analogy, ad hominem, you name it, these arguments, while emotionally appealing, have no impact on the validity of the science. Is it wrong to call AIDS denialists “AIDS denialists”? People commonly referred to as “AIDS denialists” tend to prefer the description “AIDS sceptics”, “AIDS rethinkers” or “AIDS dissidents”, with some regarding “AIDS denialism” as a pejorative term, on a par with racial slurs. the employment of rhetorical tactics to give the appearance of argument or legitimate debate, when in actuality there is none. These false arguments are used when one has few or no facts to support one’s viewpoint against a scientific consensus or against overwhelming evidence to the contrary. They are effective in distracting from actual useful debate using emotionally appealing, but ultimately empty and illogical assertions. If “pejorative” is defined as “having a disparaging, derogatory, or belittling effect or force”, then “AIDS denialist” would certainly seem to fit the bill – but does that mean that it’s wrong to use the term? It seems to me that this really depends on whether or not “denialism” is an accurate description of the behaviour of the people-commonly-known-as-AIDS-denialists. There are plenty of terms in our language that have a disparaging meaning – “liar”, “alarmist”, “criminal”, “conspiracy theorist”, “bigot”, “crank” etc. – but that doesn’t necessarily mean that it’s always wrong to use them. It would clearly be unfair to describe as a”liar” someone who had lived a life of impeccable honesty. But where a person appears knowingly to have engaged in a systematic campaign of deception, an insistence on the use of a neutral, non-perjorative, term to describe them and their behaviour would actually be a watering down of the truth, and may even be seized on as a validation of their actions. This is really the problem I have with labels like “AIDS sceptic” (or “AIDS skeptic”). The website “UK-skeptics” defines “skepticism” as “an honest search for knowledge”. To describe those who deny the evidence linking HIV and AIDS as “sceptics” seems therefore to presuppose that they are both honest, and genuinely searching for knowledge (rather than seeking to defend a particular ideological position), which many would dispute. The term “AIDS dissident” is arguably even worse, conjuring, as it does, images of Soviet-era democracy campaigners being rounded up and imprisoned for speaking the truth to a dogmatic, authoritarian establishment. Those battling to convince the world that HIV is not the cause of AIDS may well see themselves in a similar light, but in reality there have been no jailings or show trials – and 101 badly-formatted websites testify to the unfettered freedom with which the self-described “dissidents” have been able to make their case. “AIDS rethinker” is perhaps the least objectionable term – but again its accuracy seems questionable, as it suggests a willingness to rethink one’s ideas which many would argue is precisely what is lacking in those who deny the link between AIDS and HIV. It also seems rather broad. AIDS scientists are continually rethinking and redeveloping their ideas about the disease as new data comes along, and could therefore quite reasonably be described as “AIDS rethinkers” too. If we’re looking for an alternative term that uniquely identifies those commonly referred to as “AIDS denialists”, then “AIDS rethinker” seems to obfuscate matters rather than clarify them. None of the commonly-used terms for describing those who deny the link between HIV and AIDS seem to me to be value-neutral. “AIDS denialist” is a term with negative connotations – but I’m not sure that this matters. If those negative connotations are justified, then the term is accurate. And when we’re dealing with a problem as serious as HIV and AIDS, accuracy is arguably more important than sparing the feelings of a group of dangerous and misguided people. I believe that most reporters in the media do really want to get it right. However, they are hobbled by three things. First, many, if not most, of them have little training in science or the scientific method and are not particularly valued by their employers. For example, witness how CNN shut down their science division. Second, the only medical or science stories that seem to be valued are one of three types. The first type is the new breakthrough, the cool new discovery that might result in a new treatment or cure. Of course, this type doesn’t distinguish between science-based and non-science-based “breakthroughs.” They are both treated equally, which is why “alternative medicine” stories are so popular. The second type is the human interest story, which is inherently interesting to readers, listeners, or viewers because, well, it’s full of human interest. This sort of story involves the child fighting against long odds to get a needed transplant, for example, especially if the insurance company is refusing to pay for it. The third type, unfortunately, often coopts the second type and, to a lesser extent, the first type. I’m referring to the “medical controversy” story. Unfortunately, the “controversy” is usually more of a manufactroversy. In other words, it’s a fake controversy. No scientific controversy exists, but ideologues desperately try to make it appear as though a real scientific controversy exists. Non-medical examples include creationism versus evolution and the “9/11 Truth” movement versus history. Medical examples include the so-called “complementary and alternative medicine” movement versus science-based medicine and, of course, the anti-vaccine movement.